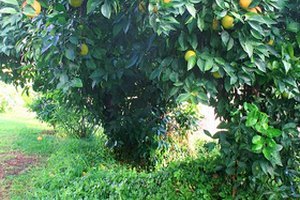 Mandarin oranges, those small, sweet, citrus fruits, are among the juiciest members of the citrus family. Peeling and segmenting mandarin oranges is the most common method of consuming them, since it is particularly easy to remove their skin. 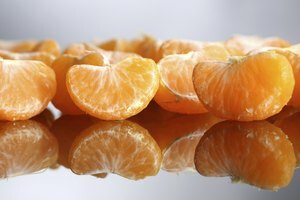 Unlike lemons or grapefruits, mandarin oranges have thin, tender skin and barely any pith. 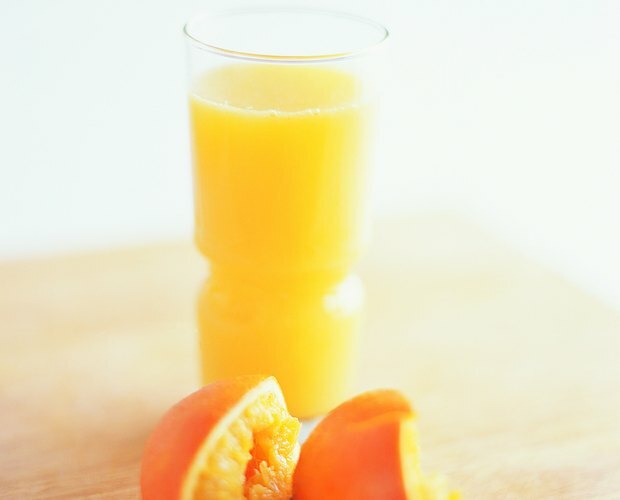 Mandarin oranges, which include tangerines and clementines, will produce plenty of juice if you decide to give them a squeeze instead of eating them. 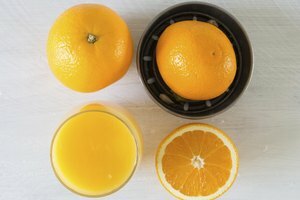 All you need is a knife and a firm grip to make freshly squeezed juice right at home. Store your mandarin oranges at room temperature. 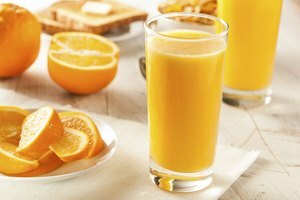 Like most citrus fruits, they produce more juice when they are warm than when they are cool. 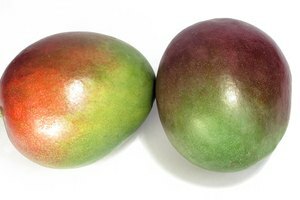 If the fruit is cold, microwave it for 15 to 20 seconds before proceeding. Roll the orange back and forth along a hard, flat surface with the palm of your hand. Applying pressure to the orange like this will lightly bruise the fruit, producing even more juice. Cut the orange in half crosswise. Hold the orange in the palm of your hand, cut side facing up. This will prevent the seeds from falling into your fresh-squeezed juice. Squeeze the orange as hard as you can, cut side up, over a wide-mouth container. 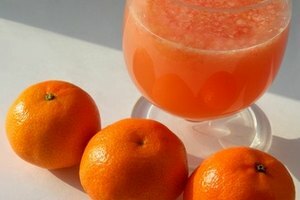 The juice will dribble out through your hands into the container, leaving the seeds and excess pulp behind. Repeat with the other orange half.